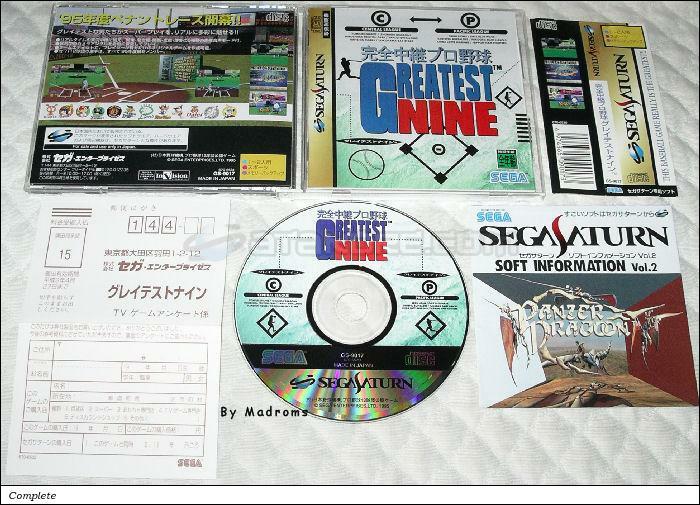 Kanzen Chuukei Pro Yakyuu Greatest Nine (完全中継プロ野球　グレイテストナイン) is a Sport - Baseball game, developed and published by Sega Enterprises, Ltd., which was released in Japan in 1995 for the Sega Saturn. No screenshot available - Want to help us ? No screenshot available - Want to help us ?